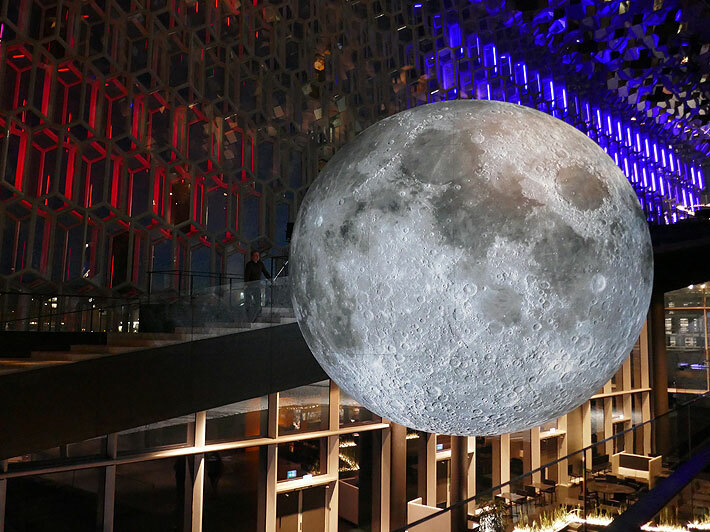 Museum of the Moon is now at the Harpa Concert Hall in Reykyavik, Iceland. 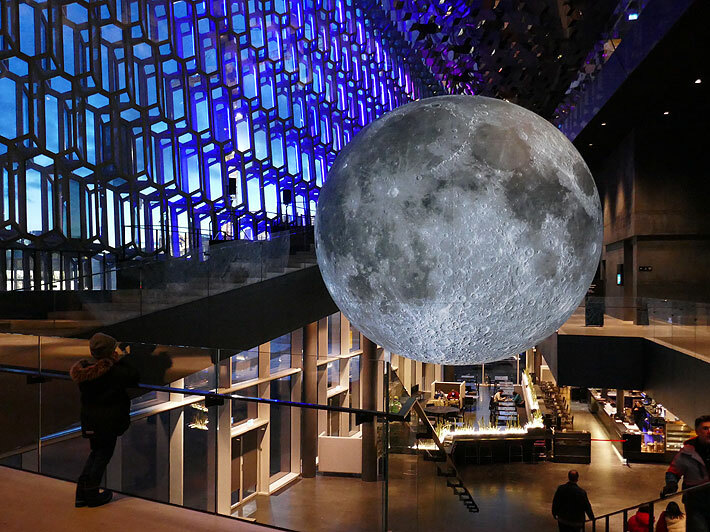 Presented until 11th February the installation is presented for the Winter Lights Festival and the Icelandic conference UT Messan. 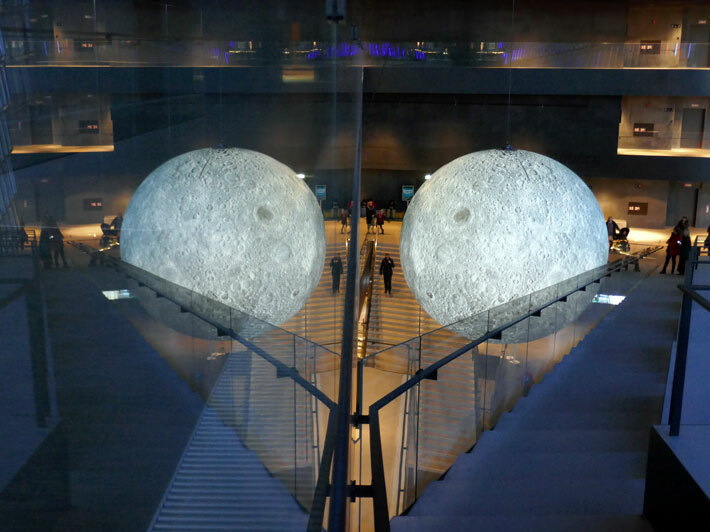 Máni (Old Norse “moon”) is the personification of the Moon in Norse Mythology. 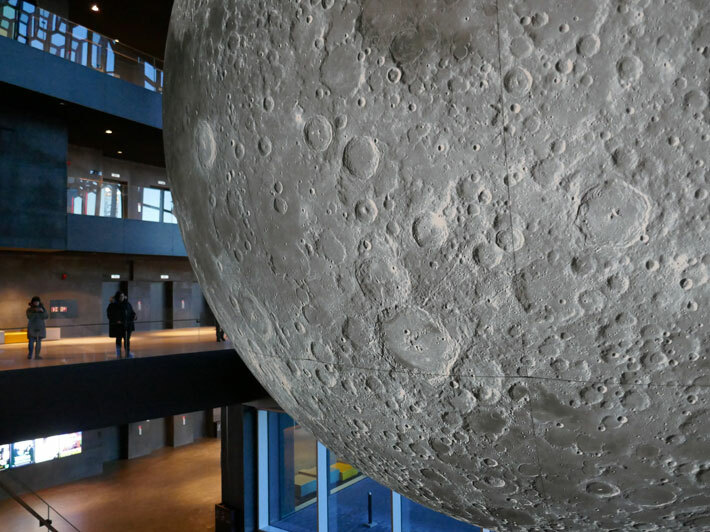 Máni, personified, is attested in the Poetic Edda, compiled in the 13th century. 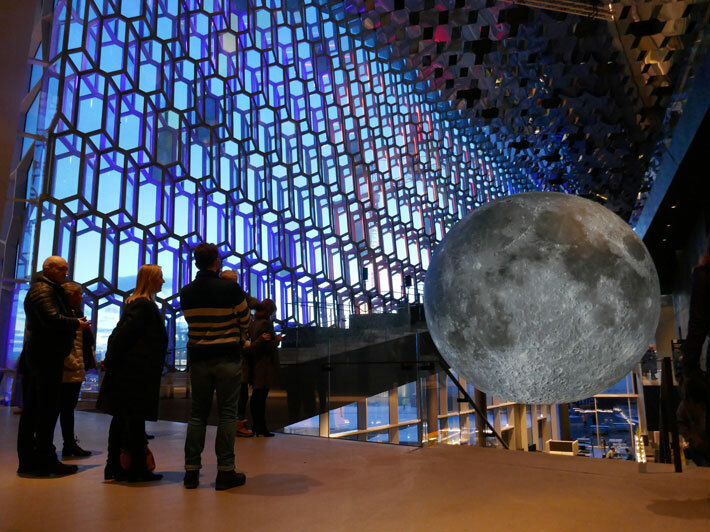 Sources state that he is the brother of the personified sun, Sól, and the son of Mundilfari, while the Prose Edda adds that he is followed by the children Hjúki and Bil through the heavens. 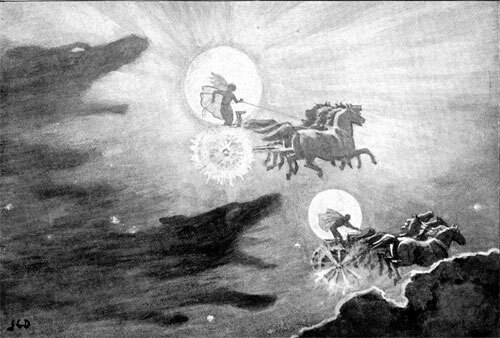 “The Wolves Pursuing Sol and Mani” (1909) by J. C. Dollman. 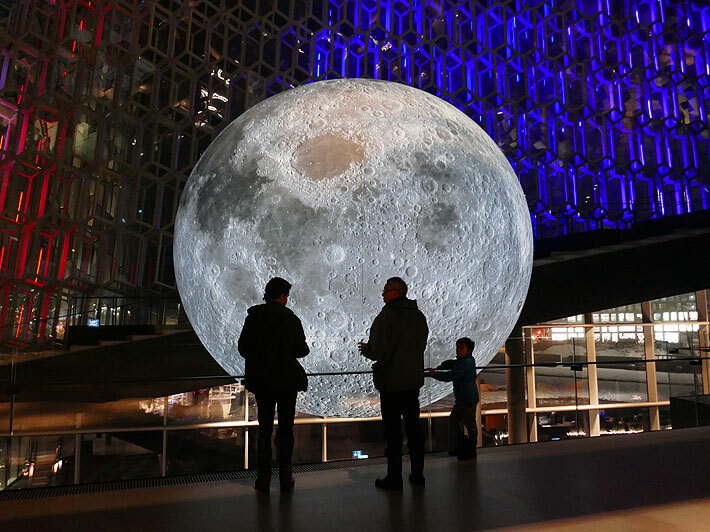 For centuries the Moon was an important source of light to enable icelanders to travel overland at night.